M&P can make custom Ryton Machined Parts to your specifications or drawings. 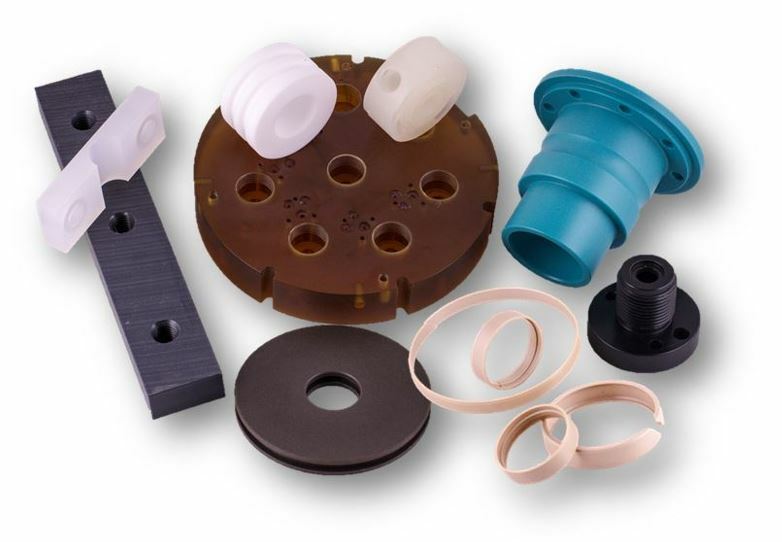 We have a plastic machine shop; Ryton® PPS is one of the plastics we can use to make parts. Polyphenylene sulfide (PPS) offers the broadest resistance to chemicals of any advanced engineering plastic. They have no known solvents below 392°F and are inert to steam, strong bases, fuels, and acids. PPS is ideal for precise tolerance machined components because it has minimal moisture absorption and a very low coefficient of linear thermal expansion. Ryton®, a glass filled PPS, is the most recognized filled grade of PPS. Glass filled PPS has better dimensional stability and thermal performance than unfilled Techtron® PPS and maintains its strength to above 425°F. Ryton® PPS Machined Parts are made in a completely controlled environment. PPS O-rings, PPS Seats, PPS Bushings, PPS Bearings, PPS Guide Blocks, PPS Wear Pads, PPS Washers. Ryton® is a registered trademark of Chevron Phillips Chemical Company. © M&P Flange & Pipe Protection, Inc. All Rights Reserved.